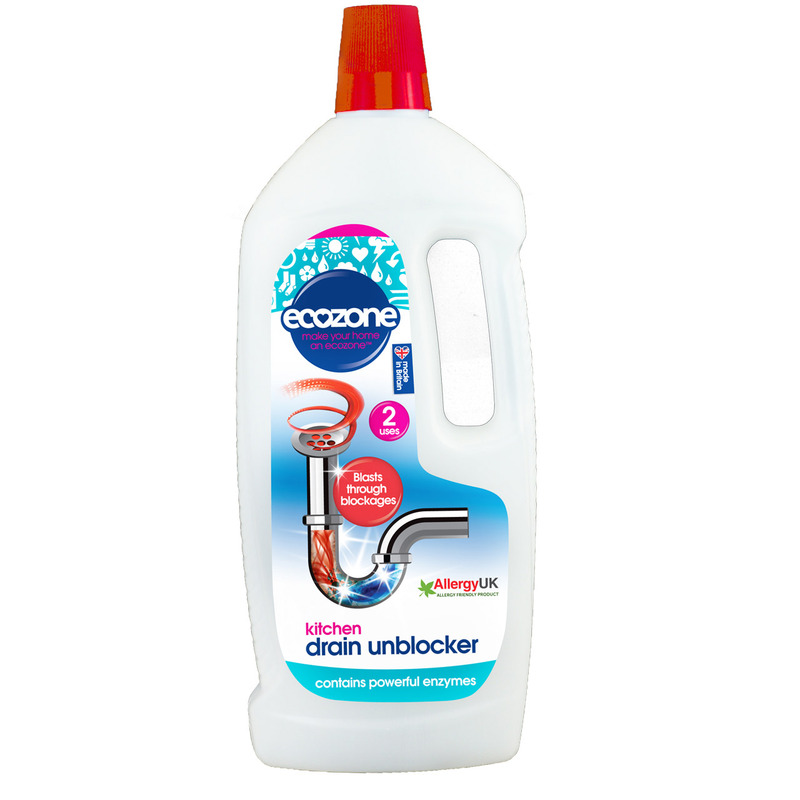 The Ecozone Kitchen Drain Unblocker combats blockages in drains in the kitchen, bathroom or toilet with an intensive treatment that uses natural enzymes and avoids the use of chemicals. Tough on blockages caused by soap, grease, toilet roll and organic matter, but does not cause damage to plumbing. 2 applications per bottle. Safe to use with septic tanks. The Ecozone Kitchen Drain Unblocker 1 Litre product ethics are indicated below. To learn more about these product ethics and to see related products, follow the links below. preferable to conventional caustic chemicals, but not as instantly effective. Needs to be well shaken before use to activate - and then it works well. Has worked well and great to have an alternative to the horrible products you see in the supermarkets that contain harmful chemicals. There are currently no questions to display about Ecozone Kitchen Drain Unblocker 1 Litre.